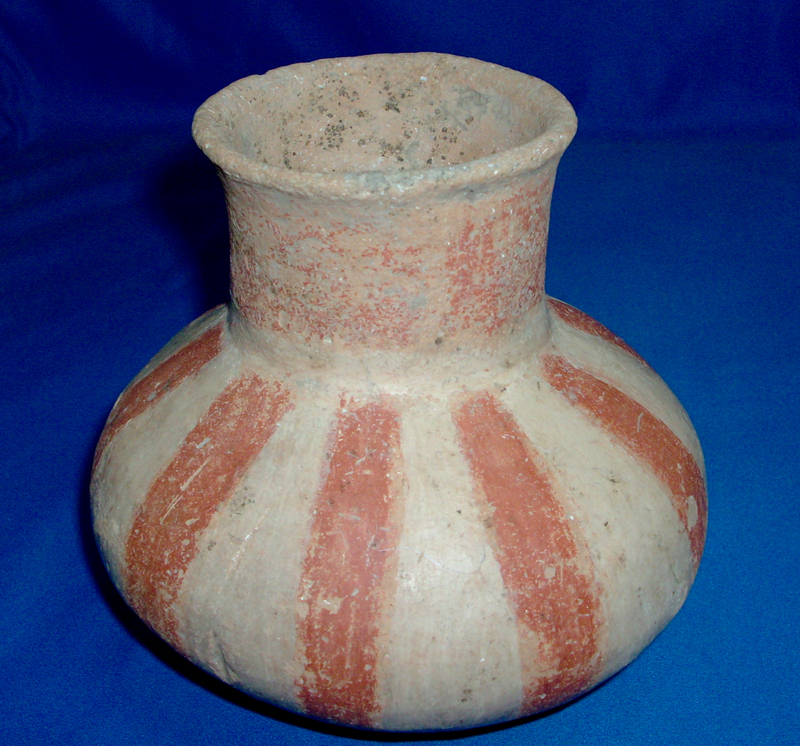 A Medium To Large Size, Rare, Very Well Made, Quapaw Red And White Stripe Pedestal Waterbottle That Exhibits Surface Sheen & Clay Aging Coloration Patina, Evident Neck Handle Use Wear, Aged Surface Shell Grog Deterioration,Correct Type Of Paint And Application, Correct Material And Manufacture For The Area Found. Ex-Kevin Pipes Coll. Pictured In Who's Who # 10, Page 262, 2nd Shelf From Top, 3rd From Left. This Is An Excellent Example, Having Good Paint, In Solid Condition! Includes Tom Davis ( Grade 10 ) And Ken Partain Certificates Of Authenticity!